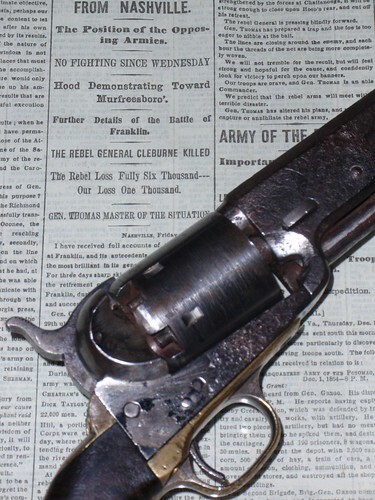 Unless you’re a real Civil War buff, meaning, you’re fairly knowledgeable about Civil War-era small arms, you’re not likely to have much interest in the news that Confederate General Patrick R. Cleburne .36 caliber Colt revolver is coming to Franklin, Tennessee. 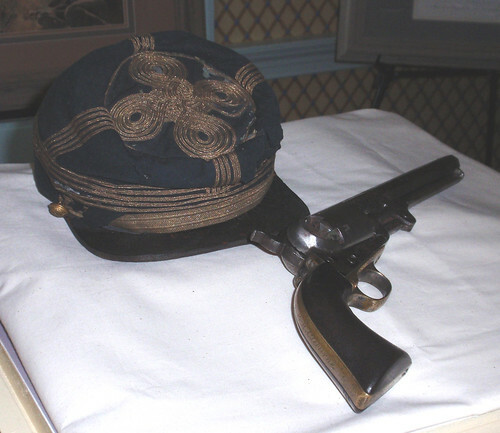 The revolver will be displayed with his Kepi, or hat, that he was wearing on the evening he was killed in the Battle of Franklin on 30 November 1864. But you don’t have to be a Civil War afficionado to appreciate a great story, and the story of how Cleburne’s pistol is making its way back to Franklin, after more than 143 years, is quite amazing. The story behind how the Cleburne pistol ended up in the worthy possession of the Layland Museum in Cleburne, Texas, has all the intrigue of a mystery-novel and the hoopla, at times, of a story right out of Ripley’s Believe-It-Or-Not. The story starts 30 November 1864, when CSA General Patrick R. Cleburne, himself an Irish-born immigrant, was killed by a single-shot to the chest. Gen. Cleburne was carrying a .36 caliber Colt revolver during the Confederate assault upon the Yankee breastworks near the Carter farm in Franklin, Tennessee. The next morning, Cleburne’s body was removed to the local field hospital, the McGavock residence, also known as Carnton. What is clear is what was missing on his person when his body arrived that morning: his boots, diary and sword belt. Later in the day, Cleburne’s aide, Lt. Leonard Mangum, found the sword belt with another soldier. What is unclear is just what immediately happened to the pistol. There is no record of it being stated as missing, but then there is also no record stating positively what had happened to it. Carnton historian Eric Jacobson believes that the McGavock’s never had the pistol. The pistol finally shows up in Texas much later. How it got there may likely always be a mystery. The bodies of four Confederate Generals were placed on the back porch at Carnton on Thursday morning, December 1st, 1864. 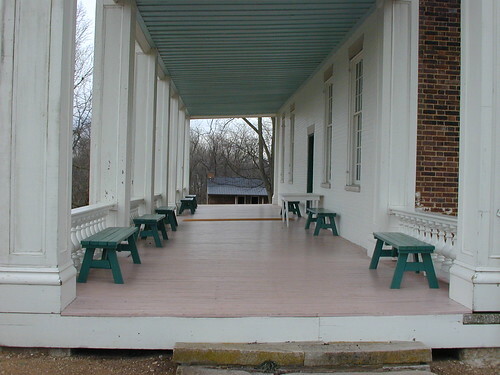 Besides Patrick Cleburne, it is believed that Generals Strahl, Granbury and Adams’s bodies were placed on the porch, beneath the windows on the right. What happened with the pistol between 1864 and 1900 is a real mystery. The next 30 years roughly – 1870s to 1900 – were murky history at best. We’re really not sure what exactly happened with the pistol during that period of time. The story can be fairly confidently picked up in the mid 1890s, though with some reliance upon the veracity of oral tradition. It seems that a Texas man, perhaps a veteran Confederate soldier or descendant, had found himself as owner of the ‘precious’. However, in the mid 1890s he found himself down on his luck and decided to sell the pistol to improve his lot. So the pistol transfered into the hands about this time to a man named Seakrats. 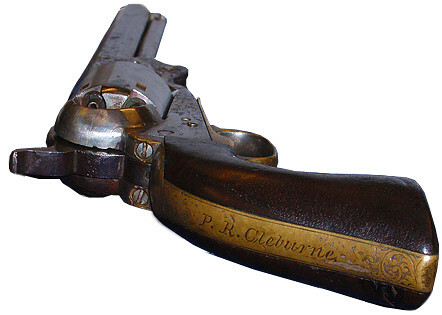 Seakrats, circa 1900, apparently recognized the inscription on the weapon enough to decide that a local Confederate Veterans Camp – Pat Cleburne Camp #88 – might be the right home for the revolver. So Seakrats turned the precious relic over to the Pat Cleburne Camp #88 around the turn of the twentieth century. Does the story end there? Not even close. What happened to the pistol from 1900 to roughly 1913? The Captain of Camp #88 was O.T. Plummer. In an effort to verify the pistol as having originally been owned by Cleburne, he had the Camp Adjutant, Matthew Kahle, take the gun to Helena, Arkansas. 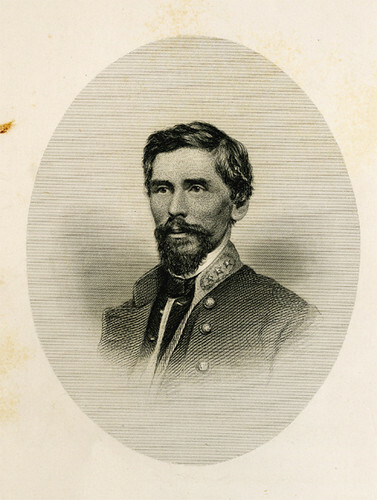 Cleburne lived in Helena prior to the outbreak of the Civil War. Post-war veterans and colleagues of Cleburne still lived there and were able to attest to its authenticity. The Helena group verified it as unequivocally having belonged to Patrick Cleburne. However they thought the best home for it would be Helena. But, not feeling he was authorized to give it to them, Kahle returned to Cleburne, Texas – named after the General – with said-treasure in stow. So, from 1900 – 1913, the much-coveted relic was in the possession of a man named James Voluntine Hampton in Cleburne, Texas. The story continues and the twists and turns got even wilder. What happened between 1913 and 1944? Possibly stolen. Mr. Hampton walked into the new Cleburne county courthouse in 1913 and revealed he had the pistol. Apparently, he handed over the revolver where it promptly was placed into a desk-drawer where it was kept for years; how many we’re not sure. There is some belief that the pistol may have even been stolen during the Great Depression era and was possibly missing for at least a decade, leading up to 1944. The next chapter is incredible. A couple boys found the gun on the banks of the Nolan River in 1944. They sold it to a scrap dealer for the princely sum of $5 dollars. By now, it was in fairly poor condition. The dealer noticed an inscription, and after confirming with the town Sheriff that it appeared to be Cleburne’s name on it, they contacted the President of the local United Daughters of the Confederacy (UDC) chapter, who just happened to be the daughter of . . . . O.T. Plummer. She agreed it was authentic and bought it for $5 bucks. Thus the proud owner of the ‘precious’ in 1944 is now the UDC. End of story? Nope. From 1944 until 1955, it’s not altogether clear where exactly the gun was stored. But in 1955, it resurfaced again when a gun-restorer offered to restore it, which he did. He apparently was not the best restorer of small-arms weapons – at least not this one. The attempt to restore it saw the degradation of some of the engravings on the barrel, frame and cylinder. However, the inscription of “P. R. Cleburne” on the backstrap largely avoided any damage and remained intact and clearly legible. In 1960, the gun was moved to the National Guard Armory – a former WWII United States Government-leased property for utilization as a German prisoner of war camp. After the armory was closed in the late 1960s, the pistol wound up in Austin, Texas. Around 1970, it was put on display in the State Capitol in their Civil War room. What happened to the pistol from 1971 to 1978? Still looking for a permanent resting place, the revolver was returned back to Cleburne, Texas, in 1971, where it was superintended by the Chamber of Commerce . . . . who ended up giving it back to the UDC. The UDC allowed the pistol to become part of the Layland Museum in Cleburne, Texas, in 1978, where it has been ever since. Where is the pistol now? And finally . . . in March, 2007, the UDC chapter that owned it, donated it to the Layland Museum. End of story? Sort of . . . The story will turn full circle on June 20th, 2008, at Carnton Plantation in Franklin, Tennessee, when for the first time since December 1st, 1864, the original Cleburne pistol is reunited with the original Cleburne Kepi, or hat, that the General – Stonewall of the West – wore into battle the fateful Indian summer evening on Wednesday, 30 November 1864. To you, we tip your hat this day, as we celebrate the reunion of your Kepi and pistol, on the very ground you shed your blood upon, for a cause you deemed worthy, paying the last full measure of devotion. Rest in peace, General. Your Humble, Obedient Servants . . . . 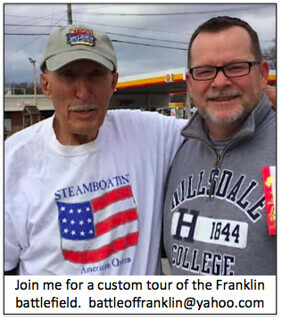 Note: The above article was written by Kraig McNutt, Director of The Center for the Study of the American Civil War, and fellow member of The Franklin Civil War Round Table. Assistance with research was provided by Carnton historian Eric A. Jacobson; Carnton Curator Manager, Joanna Stephens; and [then] Curator of The Layland Museum, Ben Hammons. This entry was posted in Artifacts, Casualties, Cleburne, Confederates, General, Patrick Cleburne, Research and tagged Battle of Franklin, Cleburne Texas, Patrick Cleburne, Revolver. Bookmark the permalink. I think this is absolutely astounding. Has anyone attempted contacting the Sweeny Museum in Missori about the possibility of reuniting Ge. Cleburne’s sash and Sam Browne belt? I’m forwarding this on to Ms. Mauriel Joslyn, Chair of the Patrick Cleburne Society….she probably already is aware…but I wasn’t till I saw your website. Yes, both his sash and sword belt are on display at Wilson’s Creek National battlefield. I believe also that his “alleged” jacket he was wearing when killed is at the Civil War Museum (conf. white house) in Richmond, VA……would be awesome to get these all together for a picture. This story is fantastic! The probability of the “junk” pistol ever being placed in a museum where its worth is appreciated makes this account most interesting. I have been in awe of Patrick Ronayne Cleburn, and the story’s surrounding him after a tour of Carnton Plantation home and cemetery. If fact it was because of this man that I made the trip and took the tour. It was Cleburns division that my three Confederate ancestors fought in. It was a miracle that they came out alive after that terriable battle. They were from Tennessee and what is unique is they were also of Irish decent. Amazing! that after all these years Cleburns Gun and Kepi, have been reunited. Carnton, is a fantastic place to tour as well as the Confederate private cemetery. One get the feeling while walking the grounds and cemetery that somehow Cleburn is still around. What a cool thing and sorry I missed it. What is it about that guy? Maybe that he lived a lot in a little time. When I go to Shiloh I follow his footsteps around the yard. You cannot help but think how it was to suddenly discover the lethality of rifled muskets and cannon on the little rise out of the woods up to where the 53rd Ohio camped. How he drove the 6th Mississippi to murderous casualties, leading from the front. My family goes to Chattanooga in December for the parade, the wonderful aquarium, and the lights at Rock City. I find time to go up on Tunnel Hill. You see there Cleburne’s maturity as a soldier. His men around him waiting for Sherman to come. The soldier who had shot Sherman in the hand at Shiloh might still have been there; it was one of Cleburne’s who had done it. You can see how Sherman had to come. The wicked trap that Cleburne set, giving Sherman a toehold on the flank of the hill where he found himself in enfilade under what little artillery Cleburne had. Three or four to one, Cleburne held all day long. And he had the rear guard when Bragg’s center failed. Ringold, south of Chattanooga is, I believe, the only time in the war when Cleburne had an independant command. He had a mission and he could pick the ground and you can see it, standing in Ringold Gap, the perfect ambush. Ah well, it’s nice the spot where he fell in Franklin is not under the Pizza Hut sign any more. I have read a book about General Cleburne that I got from the Lebanon,Tennessee library,Oh,How can we thank General Cleburnes men and General Cleburne enough? Thank You AOT for all you did for us, we will not forget or abandon you.Your trials made it possible for us to hold our heads high!We will not forget! I viewed the pistol a few years back in Cleburne, Texas. Was a sight to behold, think they also had his saddle or I’ve seen it somewhere else. 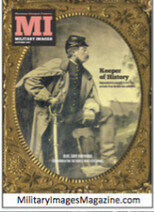 A gg uncle, Major Turpin Dickson Magee commanded the 46th Mississippi @ Franklin and was wounded there.